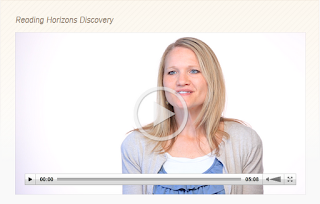 This blog post is on a semi-personal note as I have decided to post a new video that was recently launched which showcases the new Reading Horizons Discovery software that encapsulates my work life over the last two years. My colleague Stacy Hurst and myself discuss some of the components of the software that help beginning readers learn effective reading strategies and assist teachers with tracking student progress. Although it is not evident in this video, suffice it to say that many hours of mental energy has gone into creating this product that now lives up to the quality of the curriculum that it teaches. But the effort has been worth it. Helping individuals learn to read is rewarding work.